One of the most interesting challenges of writing the Sword of Dragons series has been building up the religion central to the world of Halarite, called The Order of the Ages. But how did I do it? How do I continue to do it? It started with just the basic idea: ascension. “What’s that,” you might ask? The most basic definition of ascension is that, after death, one’s soul transcends the physical form to become a higher being. For instance, the Christian idea of their souls going to heaven after death is a basic example. 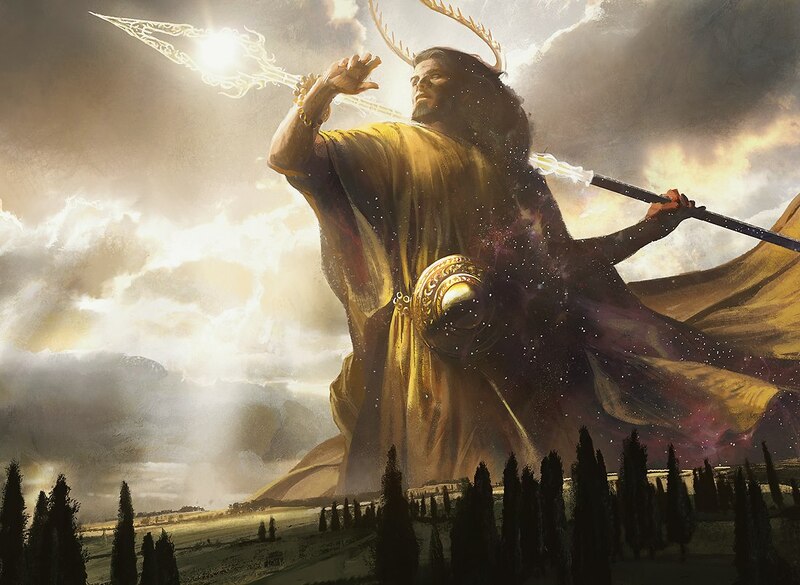 In the Sword of Dragons, the idea of ascension, as described by the Order of the Ages, is that the most powerful or the most devout people can ascend to a higher plane of existence, shedding their bodies and becoming celestial beings. When I decided to make this idea central to the religion, I came up with the ‘founders’ of the religion, what would become known as The Six, the first six humans to have ascended and become known as the gods of the Order. For each of these six, I came up with their most basic story, how they ascended, and what they are revered for. This was long before I wrote the first Sword of Dragons novel, and doing this basic development early on allowed me to include the Order into every aspect of the world, even in ways that might not always be so obvious. The name of the central kingdom, Tal, is named after the 2nd god, Talus. The name of the First City is Archanon, named after the first god, Archos. With this basic information in-hand, I began writing what would become the final novel of The Sword of Dragons. “Wait, that’s it? You didn’t develop it further?” Not at the time. I wanted to leave room for making the religion fit around my first novel’s story. When I decided that the leaders of the four kingdoms needed to meet along with the Wizards, I knew that the Order would also need representation. So I needed to come up with a governing body. Thus the Covenant was born. With a single member of the Order from each kingdom making up the Covenant, they were the authorities of the world, and even the Kings and Queens were supposed to take their counsel to heart. Granted, not everyone did (King Beredis ;) ) but all respected them, none-the-less. In book 1, I came up with basic clothing as well as the logo of the Order, six lines expanding outwards from a central point, representing the ascension of the Six. In book 2, I created their guardian, Anila Kovin, as well as described the most sacred shrine, the Tomb of the Ascended. Further still, in the Orc War Campaigns, I came up with a lower rank of the Order, the Clerics. It was also in the Orc War Campaigns that I first mentioned the central place of worship for the Order: The Sanctuaries. But what are they, exactly? This was the latest challenge I faced in book 3, as the very first chapter takes readers into one of the smallest Sanctuaries on Halarite. I looked to religious architecture on Earth for inspiration, and found that in most cases, religious buildings of old were built around the central ideas of their religions. I learned that most religious buildings in old times, such as the old gothic-style churches, were full of symbols of the religion, and were meant to make a church-goer feel a sense of awe and feel as if they were truly in the presence of a god, or to feel as if they had stepped into a heavenly place. Of course, I’m paraphrasing and simplifying everything I learned, but my research led me to realize that there were two aspects that the Sanctuaries needed to have. You see, as the last of the Six and the founder of the Order, Ziarel believed in the importance of knowledge, and created some of the first books 10,000 years ago. Thus, Sanctuaries are libraries. Furthermore, following the design of the symbol of the Order, most Sanctuaries are round, with their stacks of bookshelves radiating out from the center. Since not everyone on Halarite can read, the center of the buildings are pedestals where the clerics of the Order can read and interpret texts for the lay person. 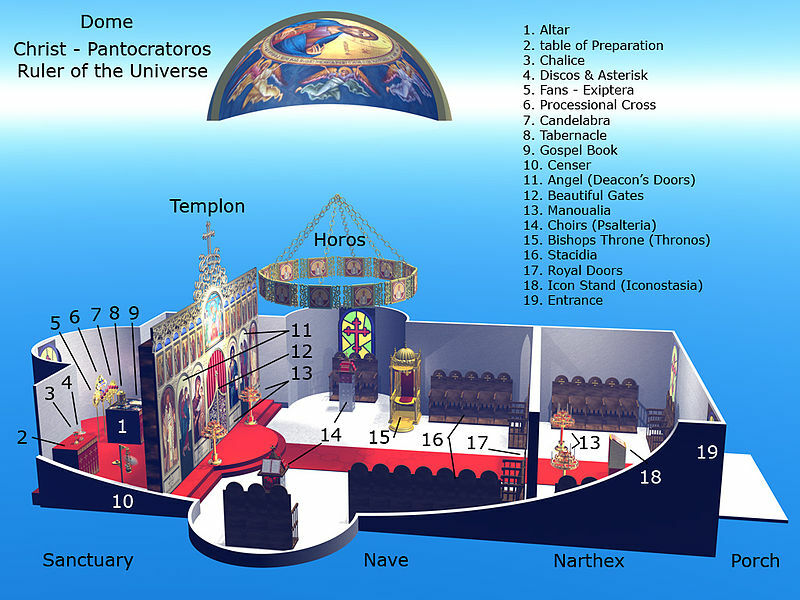 Which brings me to the 2nd aspect of the Sanctuaries: centered high above, inside of the dome of each Sanctuary, is a sacred crystal, meant to help connect the mind of worshippers to the ascended plane, and to help focus souls of the recently departed so that they, too, might ascend as they pass through the sacred crystals. Thanks for reading, everyone, and I’ll see you next weekend! Very interesting. I’m obsessed with all forms of religion and mythology, and the prospect of creating one is fascinating. You’ve really built an interesting world. In my novel, “The First and the Last”, the first part of a “Jungle” triptych, I wrote out a creation myth with deities that the characters worship. It’s not nearly as deep as the one you’ve created, but I really enjoyed doing it.